An analytical approach to winning more Heroes of the Storms games. What The Heck is Moneyball? In 2003 a book was published called Moneyball: The Art of Winning an Unfair Game. This incredible book took a deep dive into the analytical approach that a professional baseball manager, Bill Beane applied to his revenue disadvantaged team, the Oakland A's. Mr. Beane took a team that did not have the the financial resources of his competitors and modelled efficiency through analytics into the player selection and acquisition process. The results were nothing short of incredible. Bill Beane may have been one of the first to employ analytics in professional sports, but he wasn't the last. You would be hard pressed to find a team that does not have a "big data" or analytics team working behind the scenes on everything from player acquisition to the minutiaes of the game that is being played. Measurements like the Corsi, Fenwick and PDO in hockey have changed the game. Similar measures in football, baseball and basketball have forced managers and coaches to rethink how they coach and strategize. It's fantastic. Science is revolutioning art (sport). 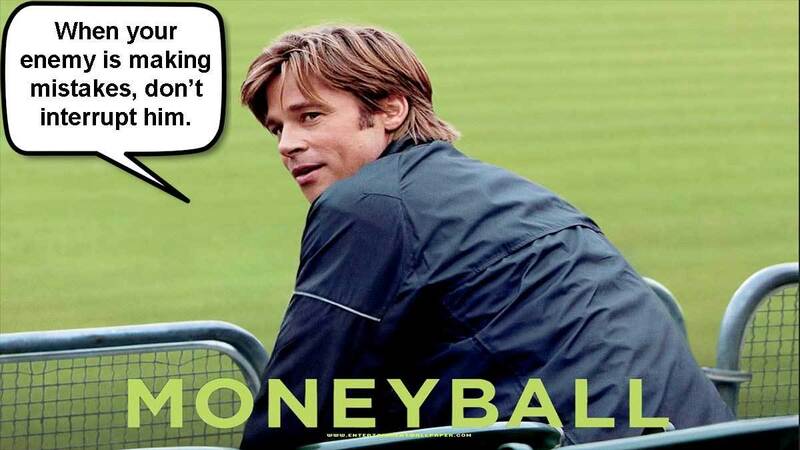 The movie "Moneyball" starring Brad Pitt is a wonderful movie for anyone interested in sports and/or math. How Does Moneyball Pertain to HotS? Heroes of the Storm, like baseball and hockey has a nearly unlimited number of variables that are in constant motion and combination. Let's take a look at the two most obvious ones. The Heroes - every Hero is different and brings something unique to the game. How they synergize with the other Heroes on the team. The Maps - every Map has obvious and subtle differences that make strategy and even Hero choice advantages change. TL;DR - The two most obvious variables in HotS are Heroes and Maps. They are not the most important, they are simply the most obvious. MOBAs, at their core are a test of how efficiently you use your time. Every moment that you are in the game you should be doing something contructive that benefits your team. This is the most basic concept of HotS and yet, it isn't intuitive to many players. I often see players sitting idly, waiting for something to happen (like a wave to spawn and push to them) when they could be helping elsewhere, doing mercs, etc. before coming back to soak experience again. Every second that you spend idling is a second wasted. Always try to be doing something productive. I have now played over 200 Ranked Games. I went back through those games and tried to determine if there was a common variable that a winning team excelled at. That variable was experience. 96% of the time, the winning team in my games had the most experience. In essence, they out-leveled their opponent. More importantly, in 92% of my games the team that reached level 12 with a two-level lead won the game. Gaining experience in the early game is incredibly important. The first tribute of the game pops. One or two team members poke and delay the other team (who almost always sends all five players) from obtaining the Tribute. Our team is giving up the Tribute. We know we that won't get it. We just want to delay the other team. We do not want to die. Poke, prod, annoy... but do not die. This is guerrila warfare. You are just stalling the enemy. If death looks inevitable then rotate a laner in to delay and have the player who died or is low health soak in lane. Early deaths resurrect quickly. Every second that you are soaking experience in lane while the other team is milling about trying to gain a Tribute is an enormous advantage for you. While we delay, our other three team members are soaking experience in lane. The longer we can delay the Tribute, the more of an experience advantage we have, especially if we are able to push a lane and take down structures. This experience advantage makes any future player vs player battles easier for us AND more importantly, gives us an advantage when the next Tribute pops. Remember you need three Tribute to start the curse. If you lose the first (or even the first two), but never lose another one because of your level advantage then the game is yours. I have had exceptional team mates delay the Tribute so long that we had a two-level advantage and eventually won the first Tribute for ourselves. This strategy doesn't work on every map. Mines, for instance, requires you to keep at least an average sized Golem or you risk being pushed and the other team gaining the experience advantage. That said, you can "moneyball" every map. There is an efficiency that you can exploit in every map. That's what separates the players from the pretenders. 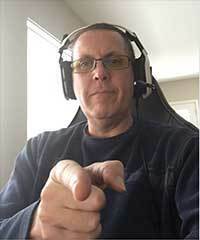 Watch some Pro matches and see how they reach experience levels faster than your last QuickMatch team. TL:DR - Experience is the most important variable in HotS. Experience is King. Experience is Queen. Long Live Experience! Always try to accumulate experience. Laning early is superb. Your contribution number isn't actually representative of your contribution. Currently (Sylvanas Patch), everyone near an experience gain (Hero kill, Tower kill, Minion Kill, etc.) gets the contribution fully attributed to them in the stats. Often the guy with less contribution has such because he has been soaking solo in his lane rather than pushing a tower with three other team mates. His experience is incredibly valuable. Heroes like Lost Vikings have the highest win percentage because they are able to soak experience while doing other things at the same time. They have a large advantage. Brightwing (partially because of passive healing) and Rehgar are both Heroes with high win percentages. Their mobility (ability to soak experience effectively) is likely a large reason for this. Balance winning objectives versus experience, especially early in a game. The team with the level advantage will usually win the battles at the later objectives. What do you have to add? Agree? Disagree?